If you are looking for a Plain Peg Rack with simple rounded edges click on the image above. We now offer a shorter peg for peg racks going behind doors for instance. They are only 2 1/4" long rather than the standard 3" long. Just request them in the comments section when you order. 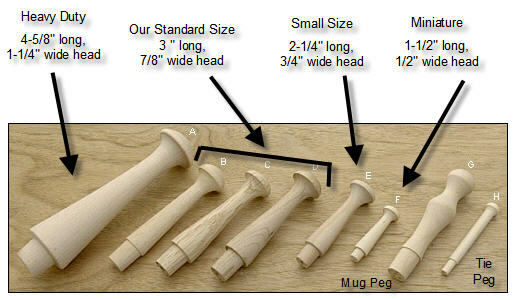 Small size pegs are not available in cherry or oak.